Southern California author Cynthia Kadohata is among the National Book Award finalists named by the National Book Foundation on Oct. 16. 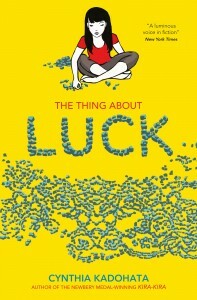 She was nominated in the young people’s literature category for “The Thing About Luck” (Atheneum) along with Kathi Appelt for “The True Blue Scouts of Sugar Man Swamp” (Atheneum), Tom McNeal for “Far Far Away” (Knopf), Meg Rosoff for “Picture Me Gone” (Putnam), and Gene Luen Yang for “Boxers & Saints” (First Second). The finalists were chosen from a longlist of 10 authors announced on Sept. 16. Awards will also be given for poetry, fiction and nonfiction at a ceremony to be held on Nov. 20 in Manhattan. 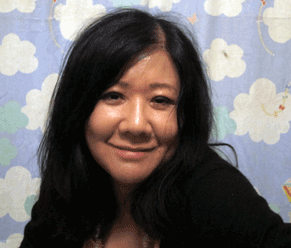 Kadohata won a Newbery Medal in 2005 for “Kira-Kira” and the 2007 PEN USA Literary Award for Children’s Literature and the Jane Addams Peace Award for “Weedflower.” Her other books include “Cracker! The Best Dog in Vietnam,” “Outside Beauty,” “A Million Shades of Gray,” and “The Floating World.” She lives in Covina with her son and dog. For more information, visit her on Facebook or go to www.cynthiakadohata.com/. Publishers submitted a total of 298 books for the 2013 National Book Award in Young People’s Literature. Five distinguished judges were given the charge of selecting what they deem to be the best books of the year. Their decisions are made independently of the National Book Foundation staff and board; deliberations are strictly confidential. To be eligible for the 2013 award, a book must have been written by a U.S. citizen and published in the U.S. between Dec. 1, 2012 and Nov. 30, 2013. The National Book Foundation’s mission is to celebrate the best of American literature, to expand its audience, and to enhance the cultural value of good writing in America. Info: www.nationalbook.org/. 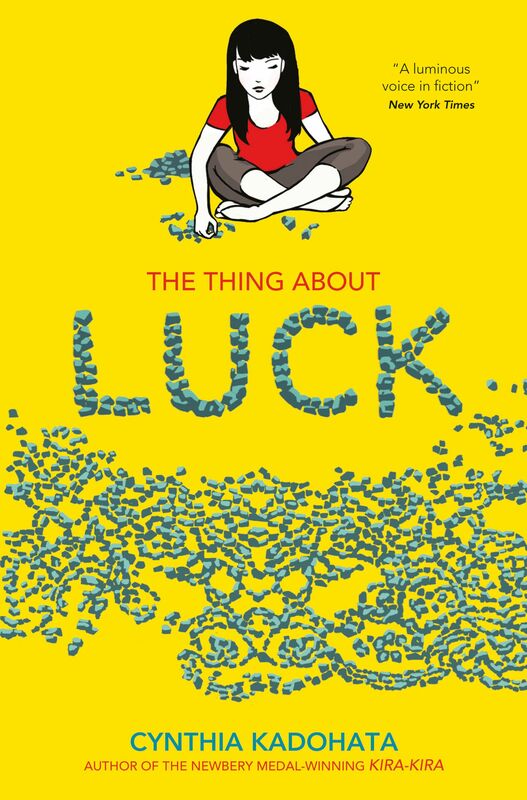 There is bad luck, good luck, and making your own luck — which is exactly what Summer must do to save her family in this novel, illustrated by Julia Kuo and intended for readers ages 10 to 14. Summer knows that kouun means “good luck” in Japanese, and this year her family has none of it. Just when she thinks nothing else can possibly go wrong, an emergency whisks her parents away to Japan — right before harvest season. Summer and her little brother, Jaz, are left in the care of their grandparents, who come out of retirement in order to harvest wheat and help pay the bills. The thing about Obaachan and Jiichan is that they are old-fashioned and demanding, and between helping Obaachan cook for the workers, covering for her when her back pain worsens, and worrying about her lonely little brother, Summer just barely has time to notice the attentions of their boss’ cute son. But notice she does, and what begins as a welcome distraction from the hard work soon turns into a mess of its own. Having thoroughly disappointed her grandmother, Summer figures the bad luck must be finished — but then it gets worse. And when that happens, Summer has to figure out how to change it herself, even if it means further displeasing Obaachan. Because it might be the only way to save her family. To order Kadohata’s books from the publisher, go to http://authors.simonandschuster.com/Cynthia-Kadohata/19010675.